Restaurant Scheme February. 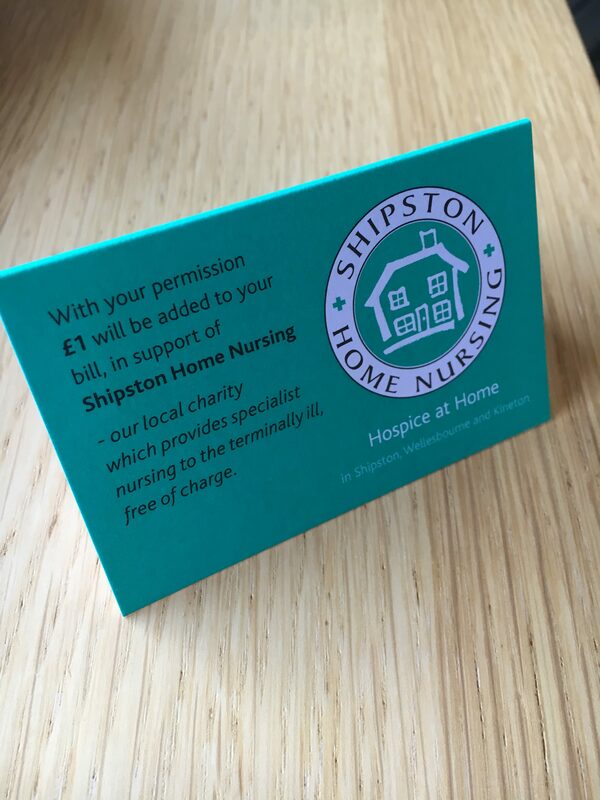 Please help The Howard Arms and Cherington arms raise funds for Shipston Home Nursing. How it works.. £1 will be added to your bill, it is not compulsory and at the end of the month the participating pub or restaurant will have raised funds for us. Look out for the tent cards.